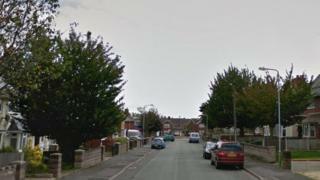 A 14-year-old boy has been left with "nasty injuries" after being stabbed in the chest and arm. West Midlands Police said it happened on or near Ashbourne Road in Wolverhampton. The force was alerted by the ambulance service at about 12:10 BST on Monday. The injuries are not thought to be life-threatening. Police say they are "unsure of exactly what has happened" and an investigation is in "very early stages". Det Insp Hannah Whitehouse said: "I'm urging anyone who has any information, no matter how small it may seem, to give us a call as a matter of urgency. "A young boy is in hospital with nasty injuries and we need to establish what has happened to him."